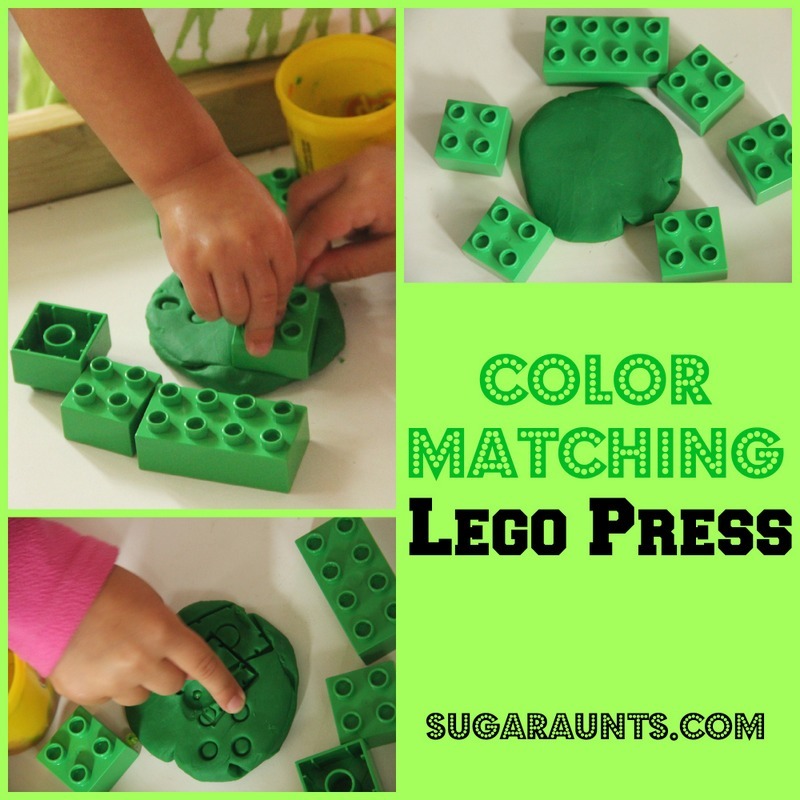 Pull out one color of play dough and one matching color of Legos. Baby Girl loves her mega blocks and we play with them daily. This was perfect for her because she could press the blocks into the dough and see an imprint of squares and circles. Great for language development, as well as color identification. She liked that she could press the little circle "buttons" (and this works those little muscles of the hand and index isolation). We'll be pulling out the play dough and Lego blocks again, for sure!